Tory Burch Pom-Pom Resin Necklace – do we love it? | Do We Love It? Tory Burch Pom-Pom Resin Necklace – do we love it? 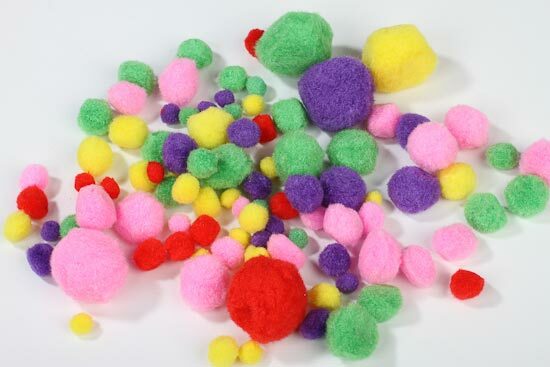 But do you also remember these pom-poms from preschool and kindergarten? I would wager a lot of money that each of you brought home some sort of craft project decorated with these that your mothers lovingly displayed on the refrigerator no matter how ugly it was. God bless our Moms. And PTL* for stainless steel appliances that mean we will have a valid excuse not to stick such hideous creations on our own refrigerators some day. *That’s “Praise the Lord” for those of you who are not Brown-Haired Shea and might not already know what that means. It would be SO amahzing sans poofballs, don’t you think? If this were just a case of a random pom-pom necklace I stumbled across at the mall I wouldn’t be so concerned. Appalled and maybe a little horrified, but not concerned. But this is Tory Burch – women’s wear style taste-maker and trendsetter. Once she starts gluing a few pom-poms to necklaces someone else will add a few more and, if we don’t stop them, before you know it someone will be making a necklace comprised solely of pom-poms…. This entry was posted on Wednesday, June 20th, 2012 at 2:25 pm	and posted in Uncategorized. You can follow any responses to this entry through the RSS 2.0 feed.